The plant stand is the perfect ornamental or plant display for any vacant space in your home. The table features a curved cherry finish base and top that will fit with any elegant and sophisticated home. This accessory provides a secure top to safely display your favorite plant. 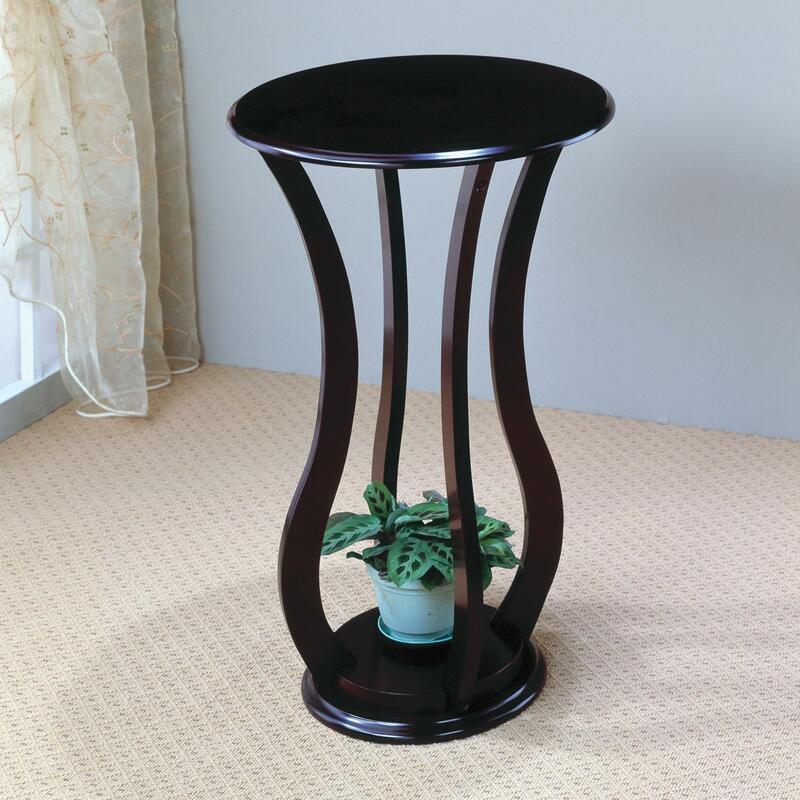 The Accent Stands Round Plant Stand Table by Rooms Collection Two at Rooms Furniture in the Houston, Sugar Land, Katy, Missouri City, Texas area. Product availability may vary. Contact us for the most current availability on this product.